I was walking past Honey Creme the other day and I saw the hugeeeeee queue and that sparked off some ideas for my Monday's Musings entry. Here are just some Singaporeans habits. Pretty much signs that indicates that you are a true blue kiasu kiasi Singaporean. Am not sure if these habits exists in other countries but please feel free to comment if they do! 1. You Chope Tables Using A Packet Of Tissue. At a crowded food centre for lunch? And the queues are mother father long? No worries! Just chope the table with a tissue and no one will disturb your table. Your colleagues and yourself can queue for your favourite food without any worries. No tissue? Upgrade baby! Use your office pass, your umbrella, your water bottle (better not be mineral water or it'll most probably be mistaken as rubbish) or even a bag. But most people would rather use an useless item rather than place your bags. Cos you trust people not to touch your table but you don't trust them with your bags. Or for all you know, your belongings might be placed at a basket and chucked aside if you take like 30 minutes to queue for your food. 2. You Sign Up For Any Mother Father Run. Hello Kitty? Garfield? Yes! You'll sign up for it! Better still! You'll get your partner to sign up for it cos two pussies are better than one! Cannot meh? Because it's straightforward, easy to understand, endearing and you save time. Why say "I am afraid I do not agree with your decision as it sounds really risky."? Just say "You siao ah?!". Save time liao! 4. You Gawk At Accidents. Must slow down wor. Must always stare and see what's going on. Take a picture, look for 4D numbers then spend the whole lunchtime discussing about the accidents. And yes, complain that you were late for work cos of the accidents. 5. You Complain. A Lot. Smrt break down? Complain. Haze very bad? Complain. Weather too hot? Complain. Raining weather during a run? Complain. I would know, most of my Monday's Musings entries are complaining entries. 6. You Will Queue. Just Because. Not talking about washrooms but about food centres again. If you are at a crowded kopitiam with your colleagues, you'll split up to stop and stare at a potential table. Because they look as if they are finishing their food and you are a vulture. STARE! Once done, you'll shout out (oei! here!) or text everyone your table. And then you'll do number 1: Chope with tissue. 8. You'll Talk About National Service. It seems that a common icebreaker topics amongst men is about National Service. Which camp, which vocation, you know who and who and who and who and who and who. 9. Government is automatically pronounced as Gahmen. I don't understand this but I realised a lot of my friends pronounces it as Gahmen. Is this a Singlish thing? 10. You Can Speak A Few Languages. Everything can be abbreviated and you use it all the time. PIE ain't a Shepherd pie or a Chicken pie but it is actually the Pan Island Expressway. AYE, OMG, WTF, KNN, GCP (love this one! ), CCB, TIL, OMGWTFBBQ, OOTD etc. The opportunities are limitless!!!!!! I didn't indicate this under the list but the last sign that you are a Singaporean? Are there other things that you think should be on this list? Please feel free to comment! Posted in Monday's Musings, Ramblings, Rants, Singapore Lifestyle Blog, Yours truly.... 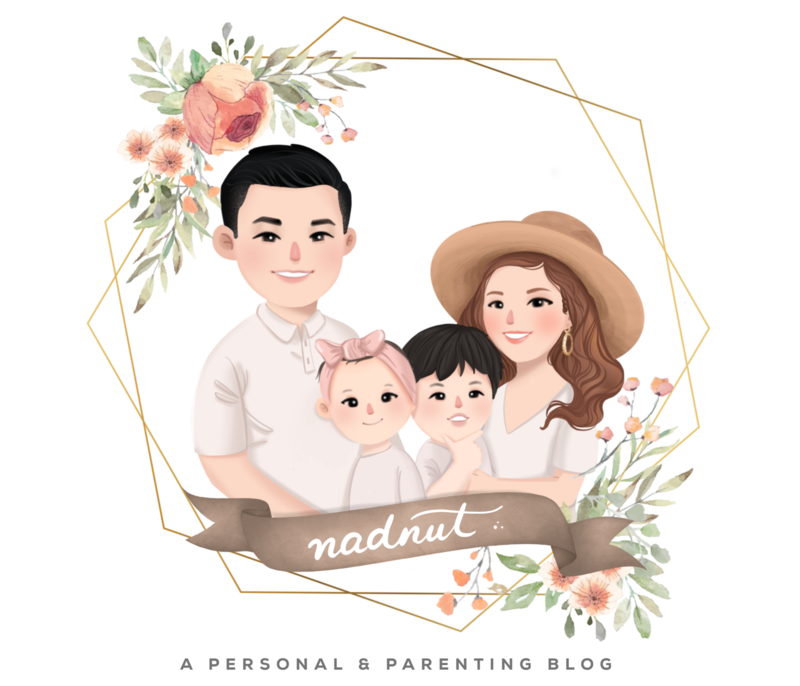 Tags: 11 Signs That You Are A Singaporean, Chope Tables using Tissue, Monday's Musings, nadnut, nadnut.com, nadnut.com - Singapore Lifestyle Blog, Signs That You Are A SIngaporean, singapore lifestyle blog, You Know That You Are A Singaporean when.... on November 3, 2014 by nadnut.